The Lansky folding sharpening stick is an ideal product for your bag for keeping your knives in tip top condition in the field. 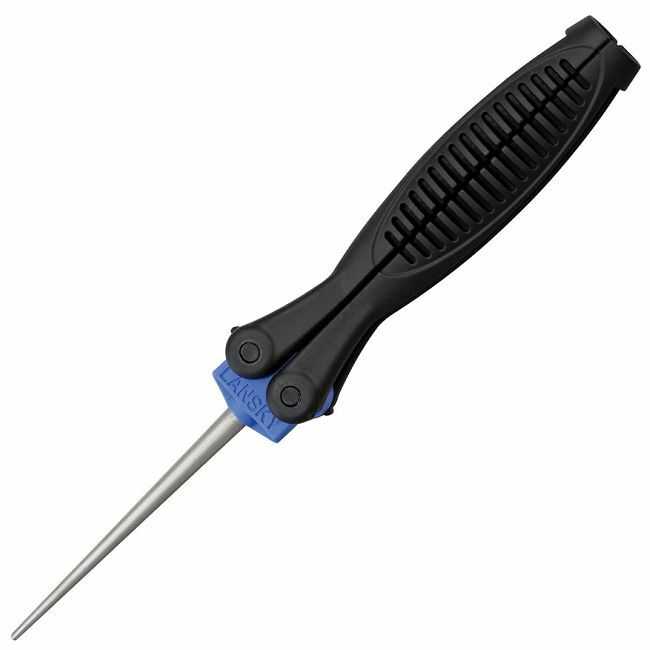 It features a 600 grit rod and sharpens regular and serrated blades, fish hooks, gut hooks, and many other tools. Black ergonomic comfort grip handle with blue trim. Handle folds for easy carrying and storage. Full diamond grit sharpening surface.